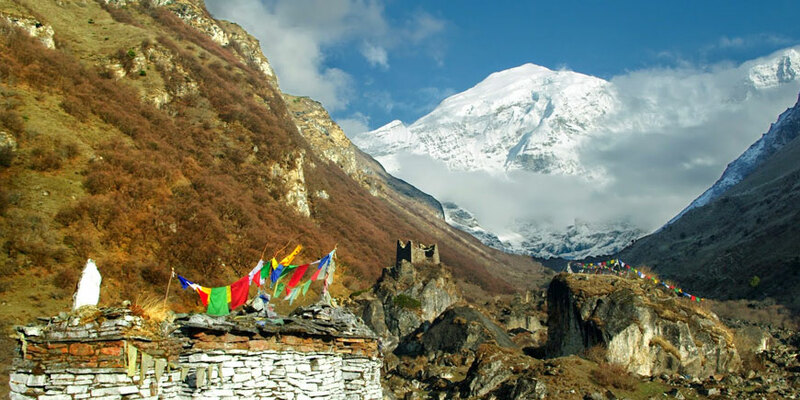 Jomolhari Trek in Bhutan is best ever known holiday expedition and frequently visited trekking destination of Bhutan that is highlighted by the greatest diversity of landscapes, flora and fauna and solidarity of cultural people. 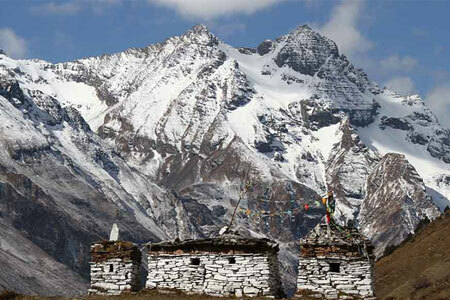 The key attraction of this trek is the spectacular view of Mt Jomolhari from Jomolhari Base Camp, Jangothang. 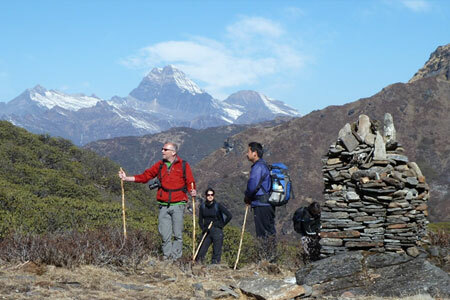 The Jomolhari trek route is graded as strenuous trek because the routes are in high altitude requiring some endurance. The altitude of Jomolhari route varies from 2,500m to nearly 5,000m, offering you wide range of landscapes, lush forest and historical sites. Trek Day 4: Acclimatisation Day. Its worth a visit to Lingshi Dzong. You can also make an excursion to Tsokha (lake) i.e. Base Camp of Jichu-Drake. During the excursion hundreds of Blue Sheep, Musk Deer could be seen. Tsokha is at 4500 m. and the hike is about 4-5 hours. Trek Day 7 : Distance 22 kms and walking time 8-9 hours. Starting at Lingshi (4010m) and camp at Shodu (4110m)The first half of the trek is mostly through treeless valley until you start ascending to Yeli-la pass at 4820 m, from here Mt. Jumolhari, Mt. Tsherimgang and Mt. Masagang can be seen on clear days. Camp in a meadow. Trek Day 8 : Distance 16 kms and walking time 5-6 hours. Starting at Shodu (4110m) and camp at Barshong (3680 m) Todays trial winds up and down following the Thimphu Chhu and crossing it six times. A final climb for about an hour walk will bring you to Barshong. Camp just below the ruins of a small Dzong. Trek Day 9 : Distance 15 kms and walking time 5-6 hours. Chimmi lhakhang then drive to Thimphu O/N at Hotel. Morning start the sightseeing with Zelukha Nunnery, National Library, Memorial Chorten of Late King, Handicrafts Emporium, Post Office and walk around Thimphu city for shopping of souvenirs from Bhutan. If this day falls on a Saturday or Sunday a visit to the Weekend Market is a must. After lunch drive to Paro enroute visit to Simtokha Dzong the first fort built in 1627-29 by Shabdrung who unified the Kingdom and continue the journey following the Thimphu river till Chuzom (Confluence) and taking the direction toward Paro following Pa-chu for 2 hours. NATURAL AND POLITICAL DISTURBANCE AND UNFORESEEN CIRCUMSTANCE.